Visual artist Stefan Venbroek created this beautiful illustrated collage for the Radiotherapy Institute in Arnhem (ARTI) in the Netherlands. 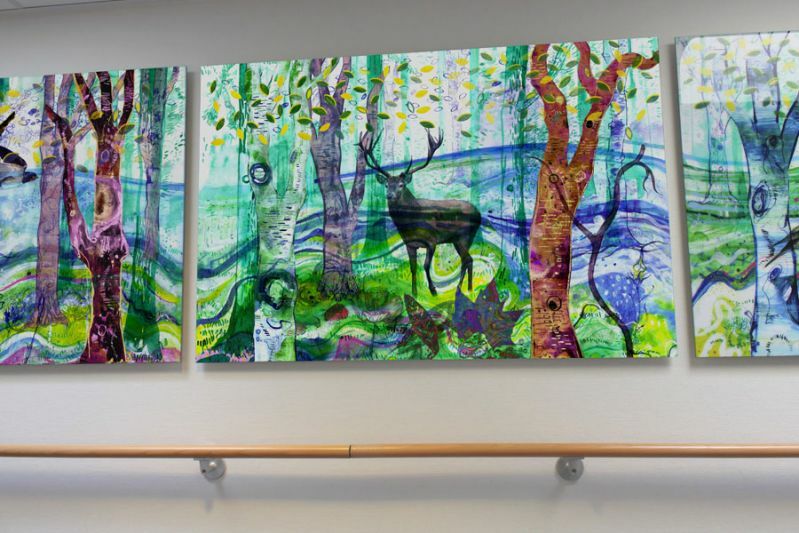 The artwork was intended to showcase the building’s natural surroundings and also feature the names of the hospital’s various departments, which are named after animals. As a result Venbroek combined drawings, paintings and photographs in Photoshop to create a unique and colorful collage. The illustration is an Epson Fine Art Print on Dibond, finished with an epoxy resin. depending upon the availability of a white print head on the printer. containing silicone can interfere with adhesion and are not recommended. recommendations. Trialing for ink compatibility is always recommended.